I didn’t begin to appreciate Foo Fighters‘ music until well after I’d left secondary school. A shame, because had I got there earlier, I would probably have been better able to relate to my class-mates. A select group of my peers were raving about this Foo Fighters band, treating angry Dave and his muckers like the originators of some kind of actual religion. Needless to say, this was something which provoked the attention of a sadistic RE-studies-despising-boy who went by the name of Big Terry (or Infamous Big Terry, depending on which people you hung about with). As was the fashion back in the early 1990s, Big Terry quite liked getting weaker pupils in horrendous looking head-locks, and he didn’t much appreciate groundbreaking rock music, either. There was a boy in my form who had big ears and wouldn’t stop going on about Foo Fighters. A boy who, luckily for him, could also run fairly fast. Possibly the owner of the largest surface-area ears in our entire year, this immensely obvious physical characteristic went largely unnoticed to his class-mates as long as he was talking about Foo Fighters and successfully appearing cool. No wonder, then, that he kept up his adoration of Dave’s gang with punishing force – providing Big Terry was busy terrorising another victim, that is. Everlong was one of those songs which instantly arrested my senses. There was no transition, no needing to get acquainted or even interpret the lyrics – the connection resonated instantly. Just like Pixies‘ Bone Machine would do, and just as Jeff Buckley’s mesmerizing song Grace would so effortlessly achieve, listening to Everlong was an experience akin to what could only be described as setting foot on another planet. At the time, I had heard nothing like it, nothing that even came remotely close. While other songs would come and go over the years, losing their significance and some of their magic, for me, Everlong still to this day retains the same powerful intensity. The key to Everlong‘s astounding, multi-layered feel is, I think, an ability to completely consume a person’s senses. 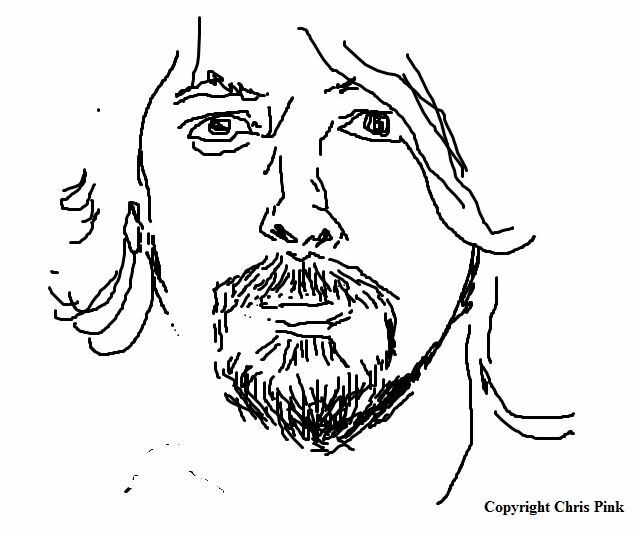 Grohl’s lyrics are raw and rampaging, while the song’s construction is a sprawling mass of high-energy which will have you receiving a speeding-ticket in next to no time. Everlong is a song to go crazy to, one to sing at the top of your voice or quietly embrace through ear-phones, isolated from the outside world. When I first heard Everlong, I listened to it repeatedly. I listened to it for months, every single day, until the CD wore out. Each time seemed to bring something new and as yet unnoticed – yet so massively engaging that I struggled to comprehend how I had not acknowledged its significance before. Yet over time, I realised that something was happening. Everlong wasn’t losing its appeal, as such, but I was beginning to realise that, like very few songs, it was a song to cherish. Nowadays, I tend not to listen to Everlong very often. If I hear it more than three times in 6 months then for me, that could be considered an exception. If I hear it in a cafe, I will, almost subconsciously, do everything in my power to put space between me and it – while also feeling cheated that I am doing so. If it comes on while I am driving, or accidentally finds itself pouring out of my MP3 player, I will shut it off without a second thought…unless I am truly in the precise right mood. For me, Everlong is a very special song which I like to listen to only from time to time. To savour and enjoy when I need that extra-special something (so much so that I didn’t even listen to it while writing this blog post). While it’s possible that I will one day get fed-up with this classic song, something tells me that if that is to happen, it won’t be for some time yet.